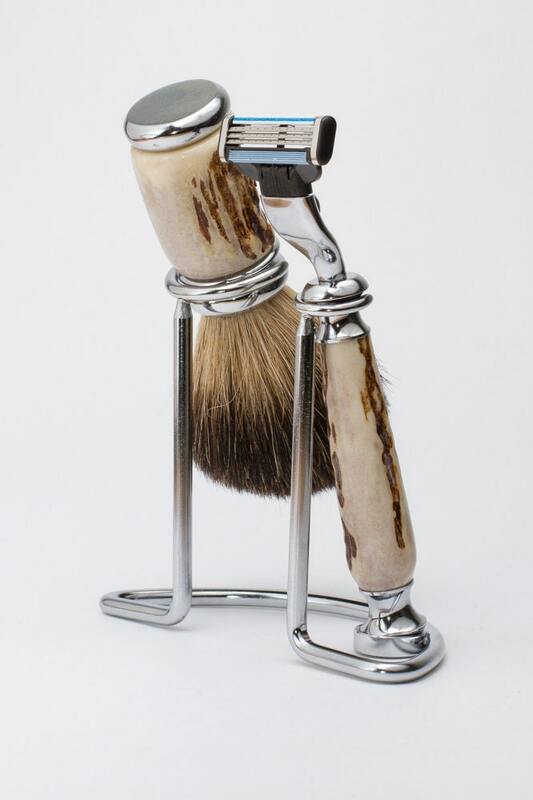 This is one of the finest All Natural Shed Deer Antler Razors money can buy. This will be a 2 piece Razor set made from all Natural Whitetail Deer Antler. This razor uses the Gillette Mach3 Razor blade system easily found at most grocery stores and Drug stores. 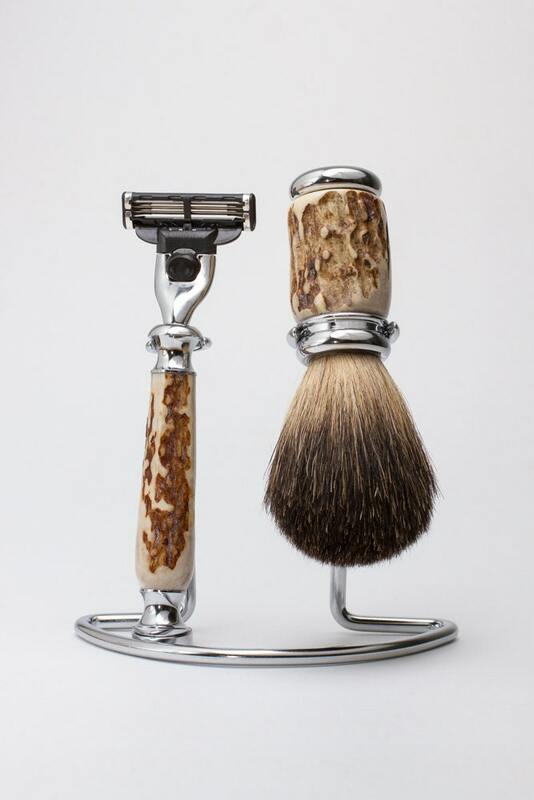 Each Shaving Brush included is made with a AAA Badger Hair knot set in the Natural Shed Deer Antler. With every one being unique in it's own way as Nature decides how each and every one will turn out. All WoodGoodsCreations.com items are hand turned and sealed to be 100% water proof. 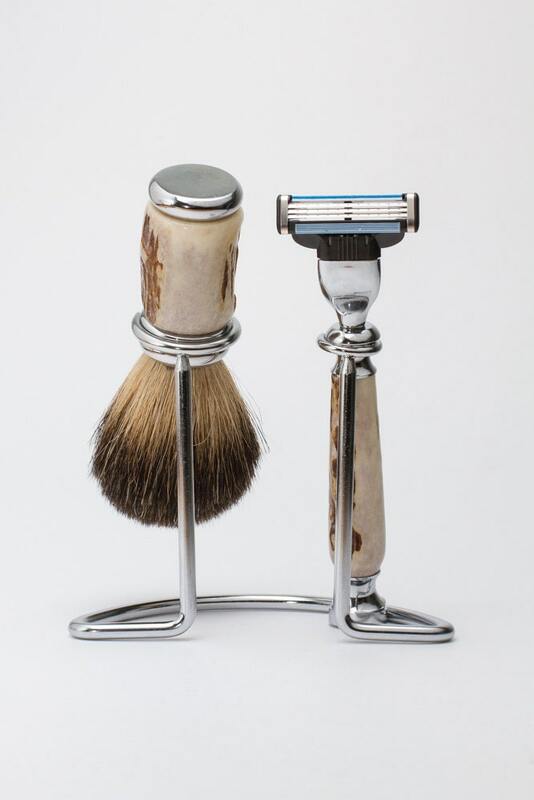 Each Razor/Set comes in a Recycled paper Box for gift giving, filled with crinkle cut craft paper. NOTE: All sets will be made to order. Each one will have some variations but will be equally as beautiful as the ones pictured. Thank you.